Kalingastone, an engineered stone division of Classic Marble Company has brought into the market a range of Quartz for the Kitchen line-up. Quartz when used for your kitchens, gives it a really neat and modern look. Quartz is made of non-porous materials making cleanup easy and preventing food and moisture from penetrating its surface - the main source of growth for harmful bacteria.. You can install these with any kind of kitchen sink, be it mounted or under mounted; you can install them around drainer grooves too. There are two types of quartz range in this kitchen line-up: Cagliari and The Classic Beige. Cagliari comes from the family of the Riviera range of Quartz. This has found an inspiration from the places like in the Mediterranean region and henceforth is named on them. Quartz has lot of advantages such as stain resistance, bacteria resistance, negligible water absorption and due to its strong surface hardness, this becomes an ideal material for the kitchen counter tops and table tops. Cagliari is available in different thicknesses. Classic Beige is from the Eleganza series of Kalingastone Quartz Collection. This family has around 18 products from whites to beiges, browns to blacks; all with elegance at their base. Classic Beige can be used for flooring, wall coverings, kitchen and table tops, commercial spaces and forms a perfect combination with darker shade products like Classic Brown & Fondente Brown. They are solid and sturdy being stronger than even granite. They are highly resistant to vinegar, limejuice, wine, coffee and tea. Quartz surfaces do not chip or crack easily. Quartz is as hard as diamond, hence make perfect worktops. Not only are they hard, they also have an unusual depth, clarity and brilliant radiance. 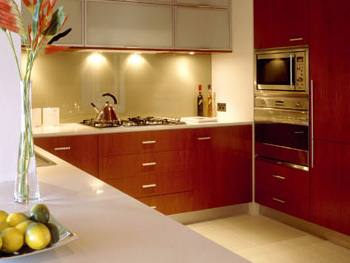 Worktops made of Quartz are not only long lasting but also are affordably priced. Quartz surfaces require a minimum amount of maintenance because they have stain resistant features. They do not deteriorate quickly because they are scratch resistant too. These worktops can withstand long weather conditions. Work tops made of Quartz look beautiful because of the various shades and colors they come in. Quartz has chemical compounds which prevents the attack of several bacteria. Because of this, many consider these worktops cleaner and more hygienic than all other contemporary worktops. The prices for both these products can be made available upon request.